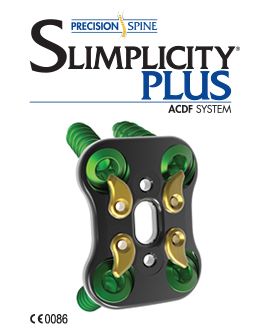 The Slimplicity® Plus Anterior Cervical Plate offers one of the slimmest plates available, with an easy-to-use locking mechanism that facilitates visual locking confirmation. Large graft windows have been incorporated to provide an unimpeded graft site and end plate visualization. 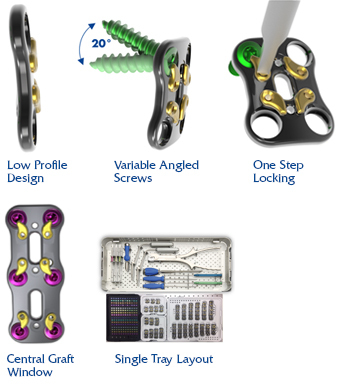 To optimize bone purchase, a generous 20° screw angulation is provided. The large array of variable and fixed screw options accommodates semi-constrained, constrained and hybrid philosophies.